“Why did the market drop?” asked the radio anchor, after the market’s nasty drubbing on Thursday. My response was simple, “There were more sellers than buyers.” Sometimes, there is no particular reason for a sell-off. Sure, financial talking heads love to gin up explanations, but at the end of a rough session, sometimes simplicity works. For the past six weeks, a slow wave of selling has hit the once high-flying sectors of the market, pushing many components of the NASDAQ into a bear market (a drop of more than 20 percent from the recent peak). 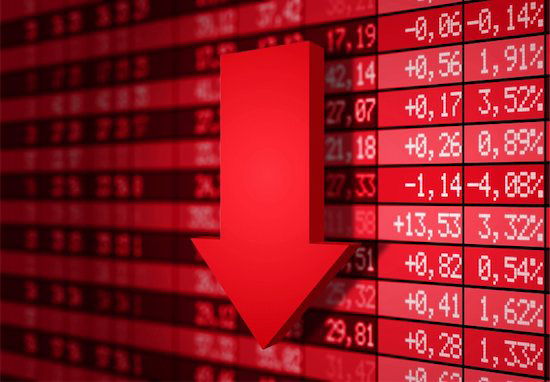 The NASDAQ Biotech index (NBI) is down 21.1 percent from its February 25th closing high; the Global X Social Media ETF (SOCL) has dropped 21.5 percent from the March 6th closing level; and the NASDAQ Internet index (QNET) is not quite in bear market territory (down 16.8 percent from March 6th), but its close enough that you get the point. Meanwhile, the NASDAQ and the Russell 2000 are flirting with corrections (a drop of more than 10 percent), down 8.2 and 8 percent respectively since their early March highs. The broader S&P 500 is down just 4 percent from its all-time closing high reached on April 2nd. The big question is whether the selling represents the start of another technology-led total market meltdown? It’s not clear yet, but a review of the numbers is helpful to determine where markets stand. The stocks that have seen the steepest declines also enjoyed the biggest run-ups. For example, prior to its recent sell-off, the Biotech Index saw an 87 percent gain over the prior 12 months. Even with the 21 percent sell-off, the index is still UP by 35 percent from a year ago. Of course that doesn’t mean that the selling will abate, which is why many are looking for clues from 14 years ago, when the dot-com bubble imploded. In 2000, investors were coming off a long expansionary economic period and a huge bull market, which had driven up the valuations of stocks. According to Birinyi Associates, the S&P 500 was trading at 29 times its component companies' earnings for the prior 12 months. Today, The S&P 500 trades at 17 times earnings, slightly above average but well below those 2000 levels. The highflying sectors are indeed stretched, but not nearly as much as they were in 2000. The S&P 500 biotech index trades at 29 times component companies' earnings, which is above its median of 26 but far below the level of 57 at which it traded in 2000. What appears to be happening is that investors are wising up a bit: taking their profits from the stocks that churned out big gains over the past year, paying their due to Uncle Sam and then rotating the proceeds into more value-oriented large stocks. In a world where emotions often rule the day-by-day action, that process seems positively rational. THE WEEK AHEAD: Earnings season kicks off in earnest, with low expectations for S&P 500 company earnings. Profits are expected to drop by 1.2% from the same quarter a year ago, according to FactSet Research, which would be the first contraction since the third quarter of 2012, though Thomson Reuters is slightly more optimistic, projecting growth of 1.1%. Revenue is seen rising only 2.3%. Tues 4/15: TAX FILING DEADLINE!